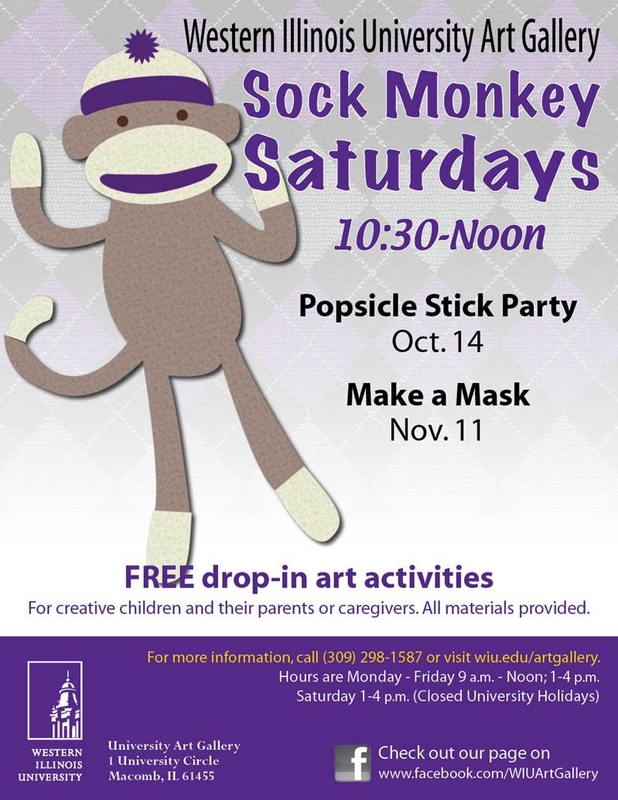 MACOMB, IL -- Western Illinois University invites creative children and their parent or caregiver to participate in "Sock Monday Saturdays" from 10:30 a.m.-noon, Saturday, Oct. 14 and Saturday, Nov. 11, in the University Art Gallery. This events are open free to the public. All materials are provided.